Handsome frame has charcoal and gold-tone mat. Hangs vertically or horizontally. Solid wood. 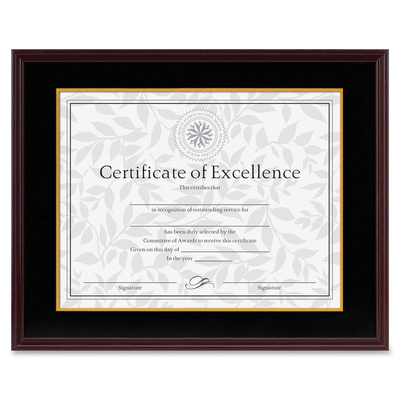 Display awards, certificates, diplomas or other important documents in this handsome solid-wood frame. Charcoal and gold-tone paper mat provide a touch of elegance. Plastic cover protects your displayed document. Frame may be mounted vertically or horizontally.